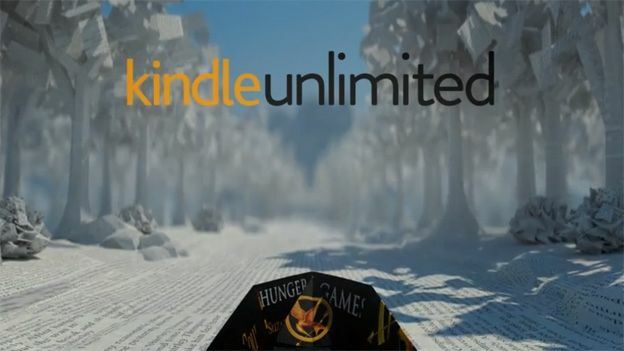 Amazon's Kindle Unlimited service has finally made it to UK shores, offering up a huge collection of Kindle books as part of a subscription service. For £7.99 a month, Blighty's book-loving denizens can have access to upwards of 650,000 Kindle books. There's also several thousand Audible audiobooks on offer as part of the deal too. "With Kindle Unlimited, you never have to think twice about what book you want to read or listen to," says Jorrit Van der Meulen, Kindle's VP for Europe. "With unlimited access to hundreds of thousands of titles, Kindle Unlimited offers by far the simplest and most cost-effective way to explore and discover eBooks and audiobooks together, and you can even switch from reading to listening without losing your place." Amazon launched the service over in the United States back in July, so the service should be fairly stable by this point. Some of the books on offer include the entire Harry Potter series, World War Z, and the modern masterpiece that is Karl Pilkington's The Moaning of Life. There's also a bunch of Kindle exclusives included in the Unlimited service, such as Because She Loves Me (Mark Edwards), The Thief Taker (C.S. Quinn), and Slaughterhouse-Five (Kurt Vonnegut). If a title is eligible for the service, you'll see a Kindle Unlimited logo as well as the more obvious 'Read for £0.00' tag. The retail giant's also offering a 30-day free trial so you can whet your reading appetite without shelling out cash. T3 spoke to Amazon and confirmed that Kindle Unlimited is completely separate to Amazon Prime membership, and will not be shipping as a bonus feature. As to whether or not Kindle Unlimited may be integrated to Prime one day, Amazon shelled out this old chestnut: "we do not comment on plans we may or may not have for the future." Neato.